In the first of a two-part blog, Sue Corbett reflects on INASP’s work to encourage collective problem solving at a national level. To get research into use for development, skills matter. 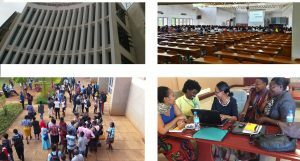 INASP is well known for its high-quality training for researchers, librarians, ICT staff and, more recently, for policymakers and their support staff in governments. All of them play a part in ensuring that there is an evidence base for national policy making. Specialists, whether they are researchers, librarians or ICT staff, often work in silos and there may be no common collective goal for improvement. Those specialists are few in number, often poorly funded and with only tenuous access to the global scientific community where norms are set and knowledge is validated. More than in the north, there is often a real commitment from researchers to work on topics that will impact on national development but very little mutual understanding between them and government policymakers. It is common to see a number of different initiatives that all pull in slightly different directions. 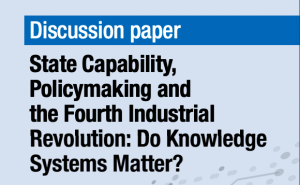 Policies, processes and cultures within universities, research institutes or government departments may actively militate against the application of new-found knowledge and skills. Time is also an issue – the parliamentary researcher on so many committees that she has no time left to apply evidence skills or the university researcher whose time is severely squeezed by a huge increase in teaching load. To be able to use the skills learnt to good effect requires reinforcement and practice. Across our partner countries, we work with many bright, motivated leaders keen to make a difference but who battle against odds that simply don’t apply to their counterparts in the north. What can INASP do to create a more level playing field? One answer, it turns out, lies precisely in the wide range of countries and actors that we work with. The wisdom of crowds has a special meaning here – the power of collective problem solving, the sharing of ideas, the coming together of specialists to understand more of the big picture, the potential for learners to mentor and support each other. This two-part blog highlights some of the ways we have been using our convening power to leverage this wisdom. Part 1 gives some examples of how we are bringing together different players within national research systems in pursuit of common goals. INASP’s new Working Together to Support Research initiative is currently trialling in Nicaragua, Tanzania and El Salvador to bring together researchers, journal editors, librarians, ICT staff and more – in fact, as many diverse perspectives and specialist skills as possible. These people are identifying big common problems and we are supporting them with problem tree methodology to figure out the root causes and come up with practical solutions. In Nicaragua, the group chose this problem statement: “The breakdown of communications and communications strategies within organizations and institutions that create, process and disseminate information and knowledge, limits the development of research in Nicaragua”. This first event attracted good representation from different areas of the research communication system and encouraged a wide range of proposals and ideas. “It is the first time we have had the opportunity to work together in this way…to meet, share, and most of all, the commitment shown by each of the participants to motivate others was wonderful,” commented the workshop administrator from Nicaragua. We also recently took this approach from Nicaragua to El Salvador where a group of 15 researchers, librarians, IT staff and journal editors met with national research leaders – including the Vice-Minister of Science and Technology, university Vice Chancellors and the National Council of Science and Technology – to explore how research and evidence can make a more positive impact on the quality of life for El Salvadorians. It is a young society with a growing higher-education sector, a low but growing volume of research and, so far, only limited understanding in government, business and civil society of the importance of generating local knowledge. The problem statements selected by the group make it clear that the way forward lies as much in increasing interaction and understanding between all those in the system as it does in the funding or skills in any one sector. Young people under the age of 14 make up 42% of the population in Zimbabwe and this poses huge challenges for employment, health and political inclusion. ZeipNET is the local partner in our evidence-informed policy making programme. Like most such organizations, it works in a complex and highly sensitive political environment. But its relative newness and lack of political baggage has given it an advantage as a broker. With something of a ‘blank slate’, ZeipNET has persuaded the key players to come together and take a fresh look at an issue many of those involved had been wrestling with: how to create an evidence base for youth policies. A series of public policy dialogues held by ZeipNET for the Ministry of Youth has brought civil society representatives, researchers and key Ministries such as Finance and Gender together to reflect on the use of evidence in policy making for two key national priorities in the youth sector: youth economic empowerment, and the Youth Council Act Review. 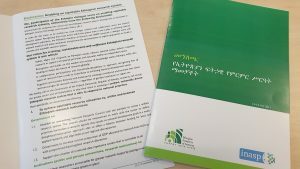 This has resulted in a new ‘Action Roundtable’, which will next year connect the Ministry of Youth and the National Youth Council with the producers of research and evidence in their fields. We will also make another vital connection – between government researchers and the national library consortium that has already secured access to the journals and key information sources they need. Both of these are new initiatives so watch out for the fuller case studies next year. Also, take a look back at the three-part blog that we published in 2014 (parts 1, 2 and 3) on our approach to complexity and systems thinking. Part 2 of this blog, to be published on Wednesday, will focus on how communities of practice, physical and virtual, are sharing ideas, spreading innovation and reinforcing new skills.